Back in the 80s and 90s, if you wanted to boost more protein, you ate more tuna, made more protein shakes or cooked more eggs. Nowadays, you have SO many more options. We are no longer limited to protein powder that tastes like sawdust or gulping down raw eggs. Seriously, we have it SO easy now – and SO tasty! 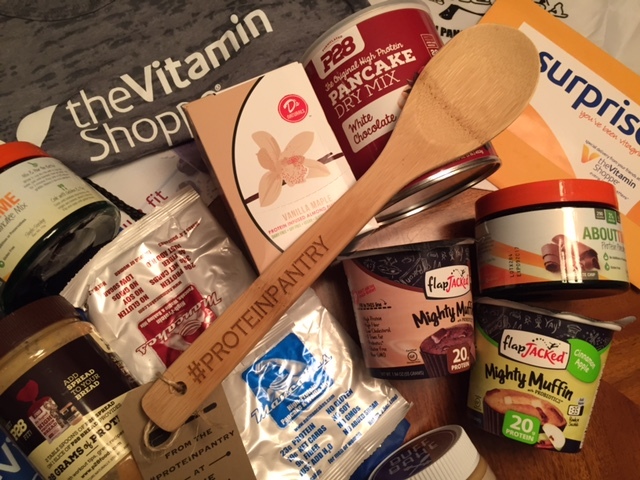 The Vitamin Shoppe has a new product category called the Protein Pantry dedicated to protein infused foods like pancake mixes, nut butters, spreads, powdered peanut butter, muffin mix and SO much more!! Boosting protein doesn’t have to be in the form of a protein shake any more! You can increase protein in every snack and meal by getting a little more protein in every little bite. 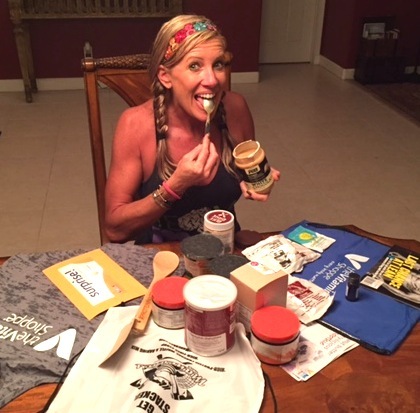 I got a package with a sampling of all these yummy products and boy have I had fun tasting them all!! In the package was a bunch of fun protein packed foods from P28 Foods, Buff Bake, Mancakes, FlapJacked, AboutTime and D’s Natural. Don’t get me wrong, these should still be used as treats. 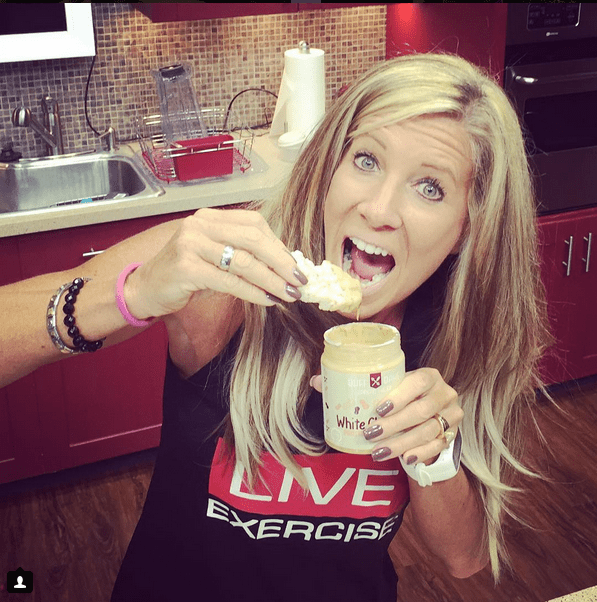 You can’t expect to eat pancakes, muffins and nut butters all the time and still have abs – BUT if you are going to cheat, cheat better, smarter and healthier! Stick to whole foods for your staples and use these products as fun ways to boost protein when you are having a sweet tooth. I don’t have time to cook homemade pancakes and experiment with adding protein. I mean, I’ve done it (and succeeded…and also failed), but I’d much rather use something that has been perfectly created for success every time – and is easy to make. The directions “just add water” make me smile. While I do love to cook, dieting is plenty complicated already so I could use all the help I can get. Today, I had a 20gm protein muffin (called Mighty Muffin by FlapJacked) that took 35 seconds to make. Seriously! The mix came in a cup, I added water, mixed and put it in the microwave for 35 seconds – which was just enough time to pour my coffee to go with it. I added a little light butter and drizzled agave on it and it was so yummy and such a fun change for me!! Follow me and I’ll tell you what I discover as I try each one – and tell you my favorites after I try them all. So far, I have to say the p28 Pancake Mix is my favorite so far!! When most people think of “pre-workout” they think of drink mixes that boost energy and stimulate focus – but you still need FUEL, not just energy, if you want to perform well. For me, my pre-workout fuel of choices is a rice cake with Buff Bake white chocolate protein peanut butter or P28 White Chocolate High Protein Peanut Spread. 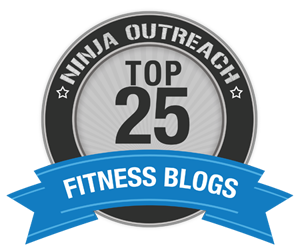 This gives me the boost of fuel I need to get me through a really intense workout like our BCx Boot Camp shows on LiveExercise. 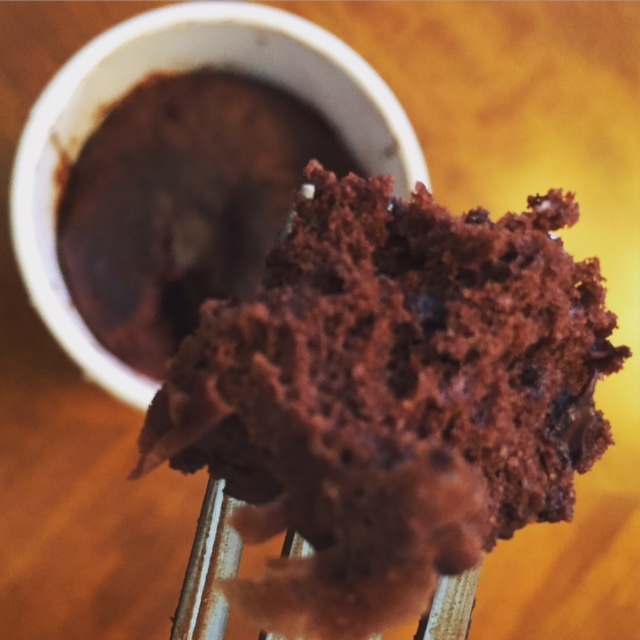 Follow @VitaminShoppe and #proteinpantry to find more fun protein-packed treats and eats!! And, don’t forget to follow me for more pics and tips too! I’m not done tasting yet!! I take a banana, and 1 egg, mash and mix, then cook it like a pancake. They shouldn’t taste funny. The texture is normally a little different, but they definitely shouldn’t taste funny. I’d suggest either trying a different protein OR just getting the protein pancake mix already ready to go! Protein pancakes?? Damn, sign me up for that. Getting in my daily protein wouldn’t be such a struggle if I had known those existed. Chicken and protein shakes gets old fast! We love our protein pancakes. They taste about the same. The only difference is they are heavier and more dense – not quite as light and fluffy, but close! !